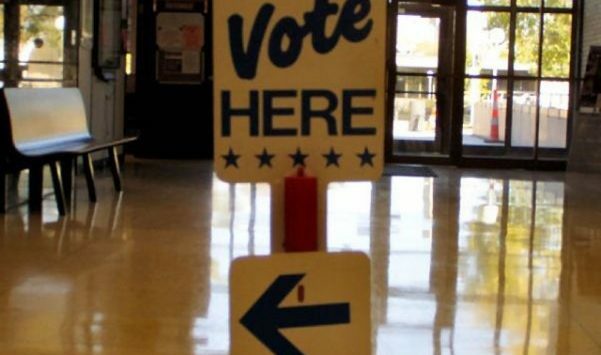 A request to spend $4,692 to purchase 150 election privacy screens, for recently purchased new voting machines, prompted Saline County Commissioner Robert Vidricksen to express concern. Vidricksen said he reluctantly would vote to make the purchase as the privacy screen are required by State law. Continuing, Vidricksen said that it “doesn’t set well that the supplier didn’t advise” the County, which will now spend $4,692 for 150 “corrugated board” screens. County Clerk Jamie Allen defended the purchase, saying that another option could have cost the County over $100,000. The old election screens had been traded in, as part of the price of purchasing the new machines. Allen said the old screens were for standalone units while the new voting machines will rest on table tops. The County Clerk has $4,376 in its capital improvement project fund and will pay the remainder out of the 2017 Election Supply Fund. Commissioner Jim Weese noted that the amount left in the supply fund is $1,148. Allen reassured the Commission that her department would stay within that $49,000 initial allocation. Darren Fishel, Road and Bridge Supervisor, told Commissioners that the county will no longer be able to lease a skid steer and excavator from Bob Cat. R&B has been given the option to buy the equipment, with guarantees. Fishel recommended the County make the purchases, for what he considered to be a “very fair” price this is “less than what they can buy” replacements. When the County entered into a leasing agreement, Vidricksen asked if the County had sought out other leasing options. Fishel said Bob Cat was the only entity offering a lease. Vidricksen then said that under the proposed plan, the County may end up paying list prices for the equipment. County Administrator Rita Deister told Commissioners that EXPO Center Director Rick Lamer faces a similar situation with leased equipment from Bob Cat, however, she speculated Lamer may return the equipment at the end of the lease. Marilyn Leamer, HR Director, said Lamer has asked to leave an EXPO Center Assistant Director position open until the end of the year, while Lamer reworks the position description. When asked, Leamer said it was too early to tell if two “Correction Officer overhires” have been able to help the Sheriff’s Office reduce overtime in the jail. Commissioners unanimously approved a right-of-way vacation involving East Crawford, east of Gypsum Valley Road, for Chuck Henry. Commissioners unanimously approved Amendment 2 for Resolution 07-1928 that involves updates to the Geographic Information System’s road map of the county. Updated maps are available for purchase from GIS, which is located in the County Appraiser’s Office on the first floor of the City-County Building. Fishel provided an update on the R&B shop construction. On Monday, four Commissioners attended the Open House for Rural Fire District #2’s new station, in Assaria. Commissioner Mike White commended the 27 volunteers who serve in that district. The Central Kansas Mental Health Center voiced their appreciation, through White, to the County Commission for the 2018 budget allocation. Commissioner Monte Shadwick and Deister will appear on KSAL’s Friendly Fire on Tuesday, September 25th at 5:00 PM. Commissioners met in executive session with County Counselor Mike Montoya. Weese will attend a Commission on Aging meeting Wednesday, September 20th, at 1:00 PM; the meeting will be held at 245 N 9th Street. The City and County Commissions will meet jointly to discuss the EXPO Center and a possible future lease on Friday, September 22, at 10:00 AM in Kenwood Hall, located at 900 Greeley. The public is invited to attend.